This beer was chosen when I read the description and said “What is this??”. 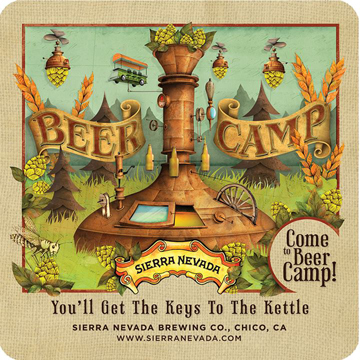 BEER CAMP: BELGIAN STYLE BLACK IPA is a Belgian IPA with a 7.7% ABV and 52 IBUs. When I took a trip to Oregon last October I made sure to stop at the Deschutes brewpub in Bend for some dinner and drinks. 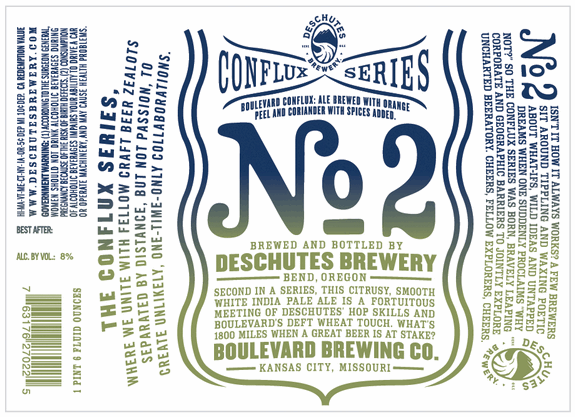 While there I picked up a bottle of their collaboration with Boulevard Brewing: CONFLUX NO. 2. Ever since then it’s sat on the shelf in my “beer cellar” just waiting for me to consume it. Now that I have, I really wish I would have grabbed more bottles of this one-off brew. Conflux No. 2 is a Belgian IPA made in collaboration between Oregon’s Deschutes Brewery and Missouri’s Boulevard Brewing (bottled 11/10/11). It has 49 IBUs and 7.3% ABV. 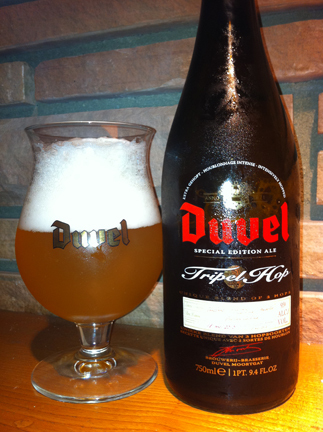 Duvel Tripel Hop is a rotating release from the world-famous Brouwerij Duvel. I received this Belgian IPA as a Christmas gift and just finally cracked it open only a couple of days ago. I fear that may have affected the flavor and not in a positive way. Duvel Tripel Hop has a buzz-worthy 9.5% ABV.